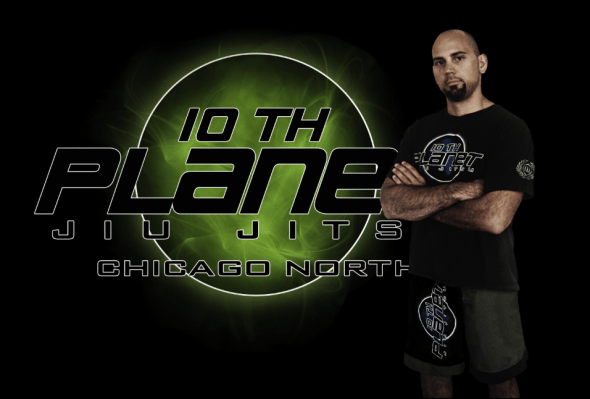 Eddie Bravo’s 10th Planet Jiu-Jitsu came to Chicago in July, 2011, and it is headed by Josh Passini. Josh is a lifelong grappler that transitioned into world of mixed martial arts four years ago. Josh spent many years honing his skills at one of Chicagoland’s most accomplished MMA training facilities. While at that facility Josh was introduced to the 10th Planet System and discovered the benefits of the system for mixed martial arts and jiu jitsu competition. After a few injuries, Josh reinvigorated his lifelong passion for coaching and decided to open a training facility with longtime friend, and training partner Dr. Angel Santiago. With a massive amount of experience and knowledge the two had attended they set forward to create an ultra-positive training facility in the Northshore area of the Chicago Suburbs. 10th Planet utilizes a progressive combination of No Gi Brazilian Jiu Jitsu, 10th Planet Jiu Jitsu, Wrestling, Muay Thai, MMA, and various fitness styles to evolve our students into supreme athletes. One of the main focuses is on continued education and proper implementation for our students as well as instructors. Our facility believes that there is no one golden way. All techniques work with proper training and practice. This is why we embrace multiple avenues of thought to forge strength in all aspects of training. Our students add to the learning process and the flow in class in very organic. We provide a clean and safe environment to grow as martial arts and fighters. The main pillar of our philosophy is that no one allows there ego to interfere with the learning process.